Jack White to Score The Lone Ranger / It's Just Movies Jack White to Score "The Lone Ranger"
I’ve been lukewarm about “The Lone Ranger” since its inception, but this new development has me excited. 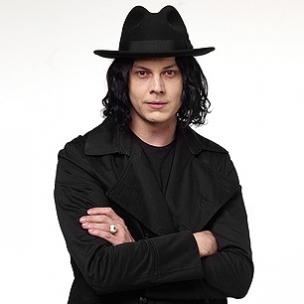 Jack White, the former lead guitarist and vocalist for The White Stripes, will compose the score for Gore Verbinksi’s “The Lone Ranger.” Starring Johnny Depp as Tonto and Armie Hammer as the masked man himself, the Jerry Bruckheimer production hits theaters May 12, 2013. “The Lone Ranger” will be Jack White’s first feature score but it’s not his first time producing music for film. He wrote and arranged “Another Way to Die” the theme song for “Quantum of Solace” which was performed by Alicia Keys. I agree. White will definitely breathe new life into the classic theme song from the classic series. If you can’t wait until next year to hear new music from White, pick up his new solo album “Blunderbuss” — which was just released yesterday. What do you think about this news? Yay or nay for Jack White? Heck, if Trent Reznor can be a successful composer, so can Mr. White Stripes. Follow Sherice Antoinette on Twitter at http://twitter.com/ShericesPieces.